If you have been following my summer style, you will notice that I love love love to wear a lot of graphic print tees. When I put together casual looks, I always want to make sure that each individual look has character and is a "conversation starter". 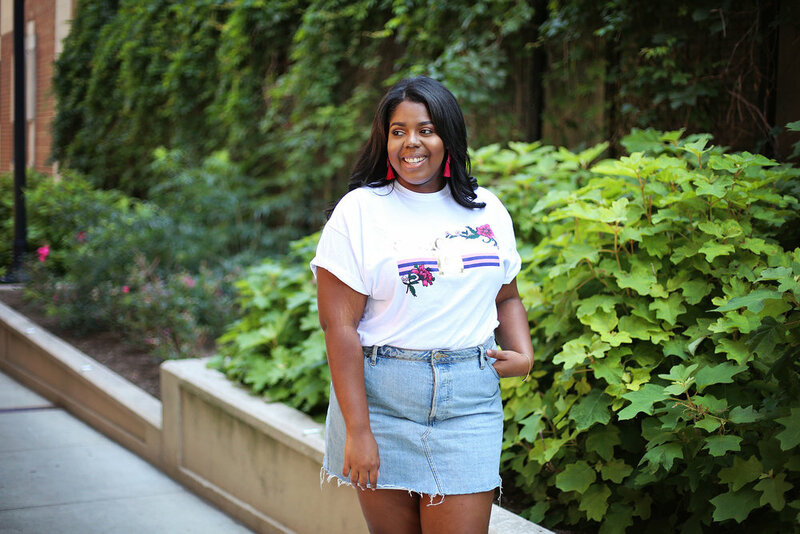 The best thing about Graphic print tees are that they are truly not expensive and allow you to rack up on several styles which can be dressed up and down. Most importantly, when you are picking which ones to put in your arsenal. remember that there are 3 key things to think about. 1. Is it too loud? - I always opt for graphic tees that have softer colors, or even simply black and white. This allows for me to be able to dress them up and down with several options from jeans to pants. 2. Does it speak to who you are? - To me, a graphic tee reflects my personality. I always opt for ones that have metallic undertones, softer colors or floral prints. This helps me to be able to keep them feminine in the case that I want to throw them on with a nice floral skirt. 3. How does it fit? The trick with graphic tees are that they should look effortless. They shouldn't feel like they are too baggy or too tight. Ideally you want to look like you stylishly threw it on and ran out the house. I will admit that I own maybe 10 graphic tees, all of which I got from River Island. I love that their tees are cut to the feminine fit (especially plus sized fit), and the graphics on them fit what I need!!! I have linked all of my favorite tees below! Happy shopping!! !